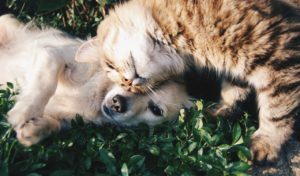 Any pet owner will tell you that their furry companion is more than just a hobby, he or she is a member of the family. And like any other member of the family, it is good to have the option to ensure their health and safety. That way, if the pet ever needs extensive medical treatment, the means are there to make it happen. And since pets can decrease stress and help their owners live healthier lives, you should consider including pet insurance as part of your supplemental benefit plan this year. There are five major reasons why pet insurance is a good choice for your employees who have pets. Unlike insurance for people, pet insurance covers treatment at any veterinarian facility, not just a certain office or network. This means that your employees can still go to the vet they know and trust. This will be an important factor in deciding to adopt coverage for many pet owners. Pet insurance also doesn’t discriminate based on breed or age of the pet. You can obtain insurance for your pet at any stage of life, so this would be good for all your pet-owning employees, not just new pet owners. Pet insurance offers pet parents peace of mind that they will be able to cover the expenses of an injury or illness because they reimburse up to 80% of costs. The costs of pet insurance can be budgeted monthly, semiannually, or even annually. Finally, having pet insurance eases the stress of deciding to pay for pet care out of your emergency fund if something happens, since this is a dedicated pool just for your pet’s care. Offering pet insurance as a voluntary benefit for your employees will give your employees peace and security. Most people would never voluntarily choose not to insure a member of their family, but for many, they don’t have access to pet insurance. Providing it shows that you care about them and their families, including the furry members, which can improve morale and loyalty. Finally, losing a pet is often very much like losing a loved one, except that when the choice is purely financial the burden of guilt is great. Providing the option of pet insurance may ease that burden for your employees, so they are better able to concentrate and work. This entry was posted on Friday, October 12th, 2018 at 11:48 am. Both comments and pings are currently closed.